On the night of 5th March 2015, Italy was hit by a fierce storm causing widespread destruction. 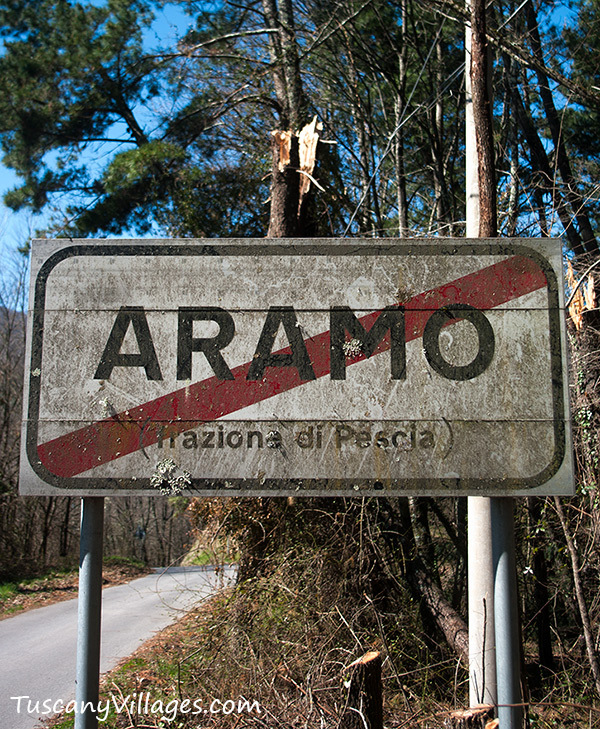 Extremely high winds in Tuscany resulted in damage to property, power supplies, in some places changing the landscape. Trees that formed the familiar face of the hills were snapped and torn by their roots from the ground. Here in the Valleriana, electricity was off for almost four days. Many people resorted to either moving away for a few days or utilising candles. Below I captured just a tiny fraction of the damage caused at the Aramo Cemetery. The wood from the fallen tree has been logged and left opposite the cemetery. This is a very common sight throughout the Valleriana since the storm. From outside the cemetery, a wonderful view of Sorana. The road out of Aramo shows more devastation. I saw a path leading into the woodland and took a peak to see what I could find. I found this delightful dilapidated building amongst slanted trees. Sorana can be seen through the remaining trees.